DeWitt Schools! This beautiful 4 bedroom, 2.5 bath, 1 owner home, is move in ready! ''Large'' is the theme in this home as every room is wonderfully oversized! A welcoming two story foyer makes for a lovely entrance leading either to the great room with separate seating area or into the formal dining room. The kitchen offers stainless steel appliances, cabinets and counters galore with an island and eat-at peninsula. Off the great room is a sliding door to a large deck overlooking the nice sized back yard. The first floor is complete with a spacious mud room with bench and lockers and a half bath. Upstairs offers 4 large bedrooms, laundry room and full bath. 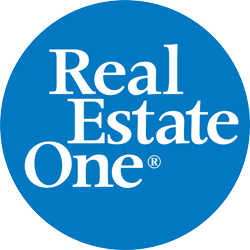 IDX provided courtesy of Realcomp II Ltd., via Real Estate Company and Greater Lansing Association of REALTORS®. Copyright 2019 Realcomp II Ltd. Shareholders. IDX information is provided exclusively for consumers' personal, non-commercial use and may not be used for any purpose other than to identify prospective properties consumers may be interested in purchasing and that the data is deemed reliable but not guaranteed accurate by the MLS.